We’ve gone a bit coloring-crazy so to to channel our “obsession”, we’re sharing with you our list of the best adult coloring books in the market. Coloring books and crayons always bring about the happy memories of childhood and picking up a rainbow-colored Crayola evokes a nostalgic feeling. Because it’s a fad at the moment, people are going on about the therapeutic and meditative qualities of coloring. Whatever the case, coloring is undeniably fun. 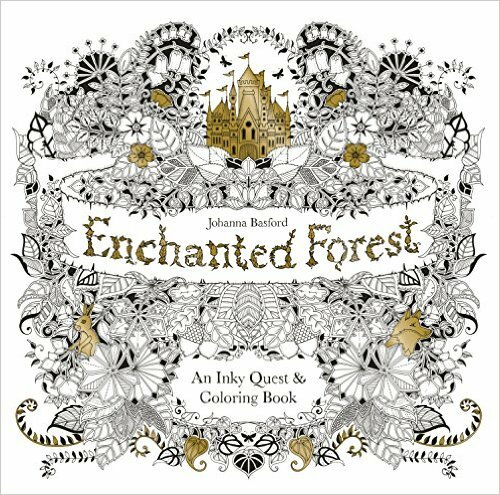 After a long day at work, it’s fun to plonk down with a set of coloring materials and a beautiful coloring book such as these beauties below. Apart from being a fun casual hobby, these titles would also make great holiday gifts for fellow nurses and doctors. (Yes, the holidays are sneaking up on us!) 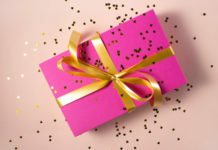 They’re also great gifts for family members and friends. 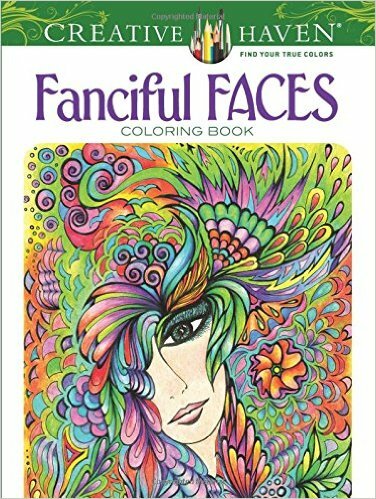 We’ve sifted through the best adult coloring books for you hence the list below has some gorgeous samples. So get in your most comfortable pj’s, get a steaming cup of (chamomile) tea, put on some relaxing music, and color away. 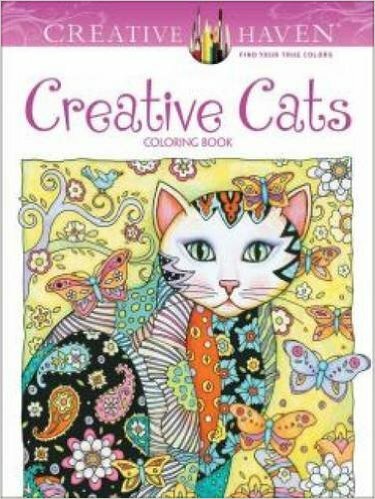 If you like cats and coloring books, you’re hitting two birds with one stone with this beautiful cat coloring book. The intricate backgrounds of paisley, flowers, butterflies, and vines make each page whimsical and beautiful. The pages on this coloring book are perforated on one side so you can display your works when you’re done. Free decor! 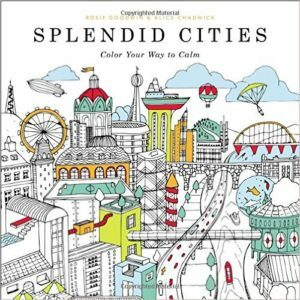 If you’ve always dreamed of traveling but simply never had the time nor the chance, get a little bit of that magic with this Splendid Cities coloring book. The fun part is that some of the cities are real and some are imagined! The blurb goes, “floating kingdoms in the sky and spooky cities, and taking you from the domes of Moscow to the top of the Eiffel Tower”. They had us at floating cities and spooky cities. 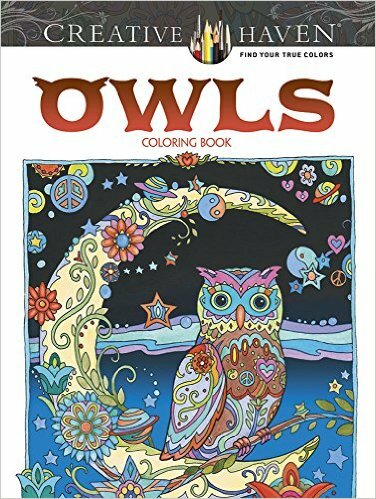 The same artist who made the Cats coloring book—Marjorie Sarnat—also came up with an Owl coloring book. 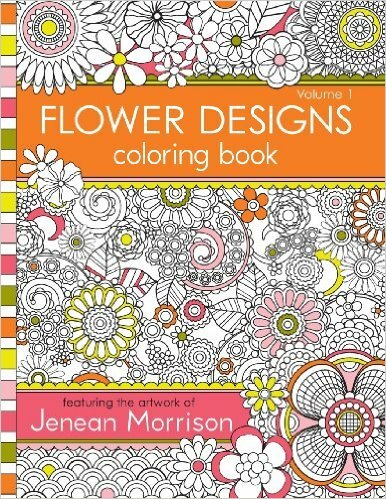 You’ll enjoy filling these beautiful designs and fanciful artwork with color. If you’re a night nurse, you might just very well identify with these night creatures. If you’ve always had a fascination for secret gardens (thanks to that wonderful classic book), you’ll love the Secret Garden. The artist gets inspiration for these gorgeous designs from flora and fauna that she grew up with in her parent’s fish farm in rural Scotland. An added bonus to this book is the Inky Treasure hunt. Just like an I Spy book, you get to look for tiny garden creatures hidden on the designs on each page. If you will purchase this book, make sure to get the newer prints with thicker and heavier paper stock so you can use ink pens. Peace, calm and mindfulness were the primary considerations of the illustrator in creating the designs on this book. 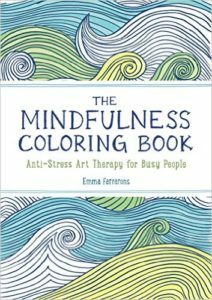 If you are particularly stressed out at work, you might want to try out this Mindfulness Coloring Book. Maybe it’s the repeating patterns and the rolling waves but it’s been touted as a great de-stressor. Simply perfect for any working nurse! This book can fit into a pocket or handbag so you can take it with you anywhere. After an Enchanted Garden, an Enchanted Forest seems like the next obvious idea. 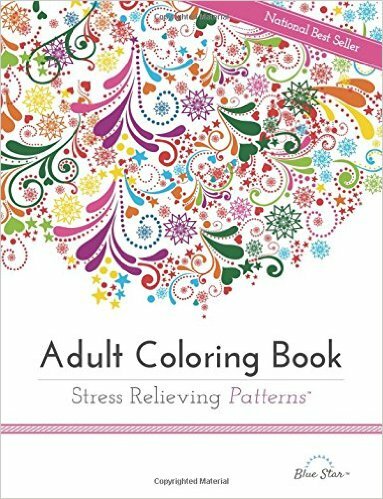 If you can’t get enough of the first book, there’s more adult coloring fun with this book. The pages on this book are thick and gorgeous. 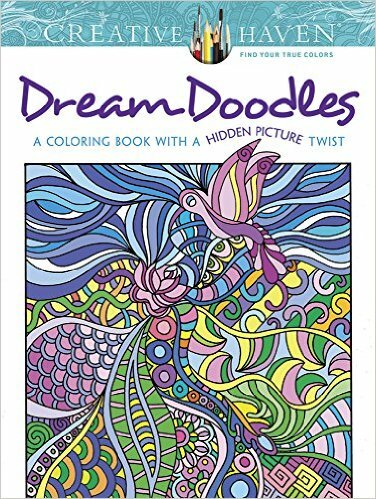 It’s a quality book you’ll enjoy coloring. A mandala is a geometric figure representing the universe in Hindu and Buddhist symbolism. Carl Jung, the Swiss psychiatrist, used mandalas in his psychotherapy with patients. You would have covered this in Nursing School but Jung used mandalas to identify emotional disorders and help patients work towards wholeness. 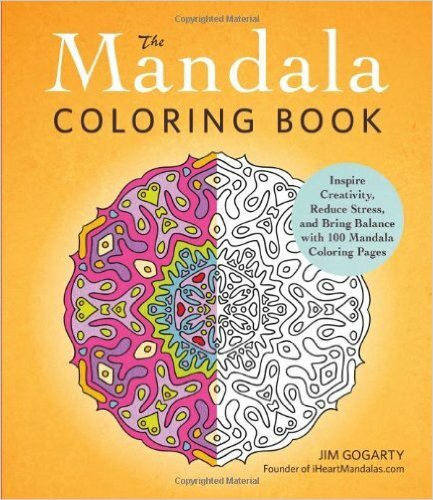 This book features 100 customizable Mandala drawings. The blurb on the book promises to draw your eye inward, help you center and relax your mind. We’re not totally sure how effective it is but our eye got caught by one inspiring anecdotal story in the reviews section. One person suddenly had a panic attack during a layover in the airport. He recounted how coloring helped him get through the next three hours of his flight. The next time clinicals give YOU a panic attack, you might want to reach out for this book? We’re not sure you want to be coloring anatomical designs when you’ve just spent your entire day at the hospital. 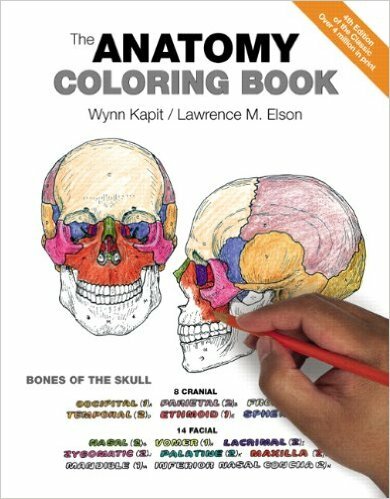 Anyway, just know that there are anatomy and physiological coloring books out there that are very informative and educational for nurses. If you are looking for a great gift for a nursing student, this Anatomy Coloring Book is it. Each of the 162 two-page spreads include a color-key system where anatomical terminology is linked to detailed illustrations of the structures of the body. This book is an international bestseller. It’s even ranked 1 and 2 in different Amazon categories. 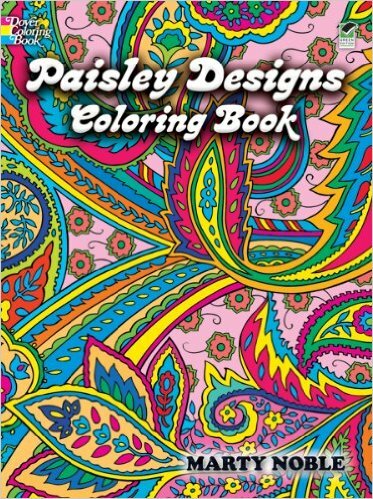 People who have purchased this coloring book love the designs and the differing levels of complexity in each page. One doctor even shared how they have these coloring books in her hospital for patients and visitors. 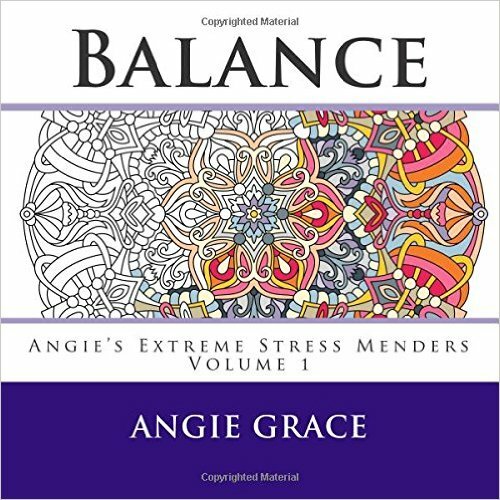 Best selling coloring book artist Angie Grace describes her designs as stress mending circular whimsical art. Scanning through the pages of her coloring book, the designs are intricate and absorbing circles reminiscent of mandalas. Coloring with this book is said to bring out your creativity and imagination as you transform her black and white outlines to a beautifully colored keepsake. What’s keeping our attention though is the title “extreme stress menders”. Nurses definitely need some of that! Now these patterns are simply gorgeous! If you like animals or want to have these prints up on your wall, this is a great coloring book to get. Take note though that this beautiful lion design is not included in the set. You do get two extra pages though for your own drawings. If wild animals are not to your taste, these flower designs just might be up your alley. Older kids will love working on these pages too. Once you’re finished with a page, it would be great to get a frame for it and hang it up on your wall. Now this coloring book is a standout. No pretty flowers, vines or butterflies for this coloring book. If you like contemporary art and out-of-the box stuff, you’ll enjoy the artwork featured in this book. One hundred (100) creative masterminds, including animators, video game artists, cartoonists, illustrators, fine artists, graphic artists, musicians, photographers, and street artists collaborated on this book. This obviously explains the crazy and imaginative art. 14. 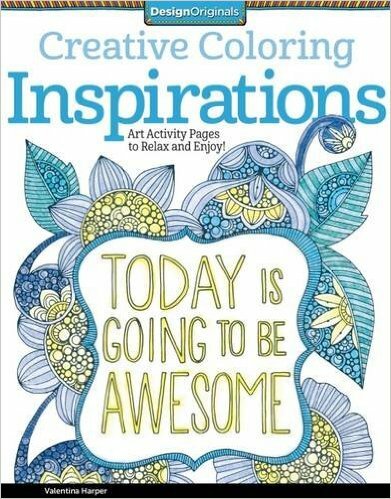 Creative Coloring Inspirations: Art Activity Pages to Relax and Enjoy! We love this coloring book! Nurses need inspiring quotes and anecdotes and this coloring book dishes them up on each beautiful page. Now this you can definitely hang or tape on a wall at work to help you keep your mojo up. Hmmm… owls seem to be pretty popular, don’t they? 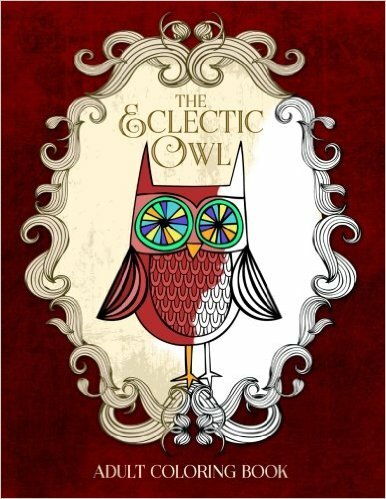 If you’re a closet owl lover, you’ll love this book and the sequel “More Eclectic Owls“. Fanciful Faces feature fantasy ladies wreathed in elaborate halos of birds, flowers, feathers, and other geometric shapes and figures. Some designs are more abstract than others. This coloring book is brought to you by Creative Haven so you can expect good quality paper and perforated pages. We are a huge fan of Japanese art and this book does not disappoint! 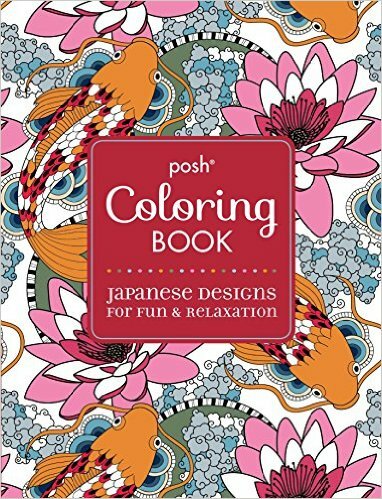 This coloring book is inspired by the traditions and festivals of Japan. In between the pages of this book you’ll find delicate and intricate florals, nature scenes, fans, parasols, dragons, and kimonos. Simply and absolutely gorgeous. 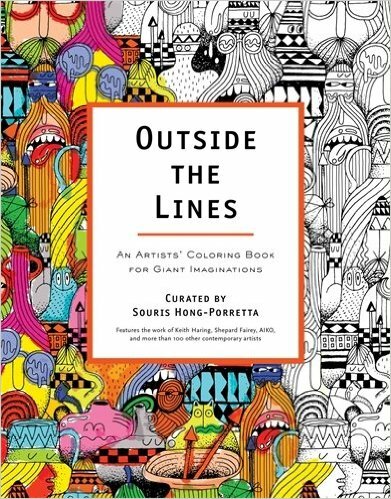 This is one of our favorites on our list of best adult coloring books. Always wanted a tattoo but never had the guts to get one? Get them now in your coloring book. 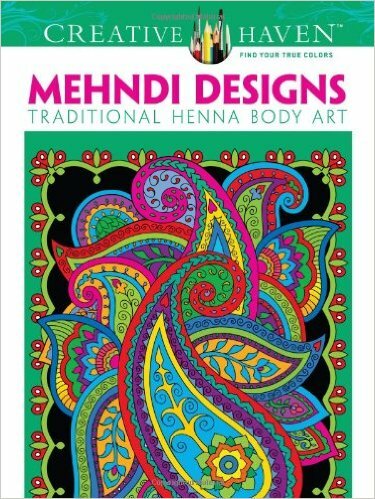 Mehndi designs feature traditional henna body art. Each page features exotic birds and butterflies, hypnotic paisley prints, and flowers galore from authentic Indian, African, and Middle Eastern sources. Outwardly, paisley may not initially look like much but once you start coloring, you’ll realize just how much variety you can make with one design. 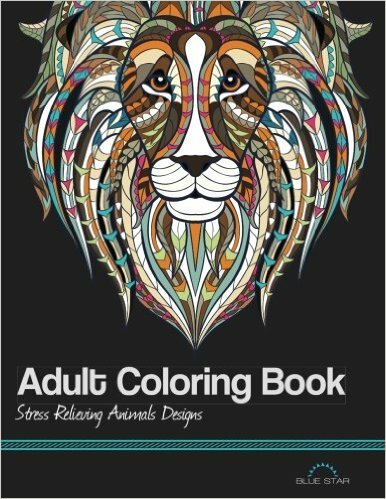 The colors that you choose will reflect your mood and state of mind at that precise moment making this adult coloring book quite therapeutic and revealing. 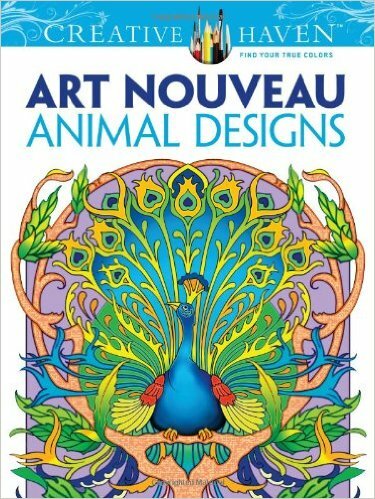 This coloring book is all about Art Nouveau animal designs. Art Nouveau is a style of decorative art prominent in the US from about 1890 until World War I. It is characterized by intricate linear designs and flowing curves based on natural forms. In this coloring book, you’ll get graceful creatures intertwined with vines, flowers, and other plant life. Are you a fan of steampunk? Steampunk refers to a genre of science fiction where society is powered by steam-powered machinery rather than the other technology we have today. 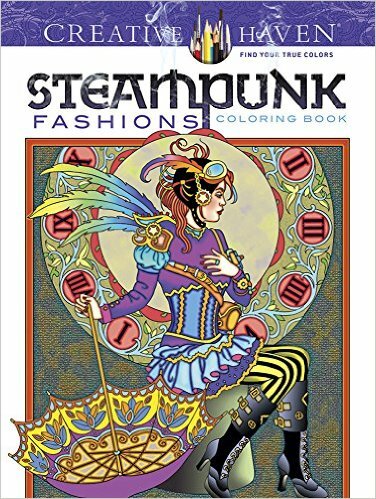 The designs in this book feature fashions from steampunk literature. You get Victorian-era clothing with goggles, clocks, and other technological accessories which provide a fun challenge to color. From the cover, you can already tell that this is another fun book that features fantastical and whimsical creatures and patterns. The flowing patterns are beautiful and make each design cohesive. There is a hidden picture twist and you’ll have fun looking for hidden teacups, bumblebees and other hidden figures. The fun part is to figure out if you will highlight them or blend them in with the other elements as you color your way through the book. “Look inside” the book. Amazon lets you peek at a few of the pages. If you are in a brick and mortar bookstore, ask the sales person to show you the pages inside. There are so many styles and genres available that you have to make sure to get a coloring book that suits your taste and personal style. Check out the quality of the book. Some people report that there are coloring books that can’t be colored in with ink pens because the pages are too thin. Others report that the black ink transfers to the next page if you’re not too careful. Make sure to get a coloring book with thick solid pages that won’t bleed through or mark. If you are buying online, check out the reviews section of each item. Make sure the book lies flat. It’s hard to color if the book doesn’t lie flat. This is an issue with some coloring books. Check if you get one design per page. Adult coloring books with just one design per page are ideal. These are usually the type with perforations on each page. When designs are printed back to back, you might run into bleeding issues. Also, pages with perforations are easier to remove and separate from the book for when you want to frame and display them. Find out what markers or pencils are allowed. Reviewers are very good in sharing what works and what doesn’t. This saves a lot of would-be buyers agony and disappointment. Note the artist and the publisher. If you already like an illustrator, chances are you’ll also enjoy other titles of her work. The same goes for the publisher. 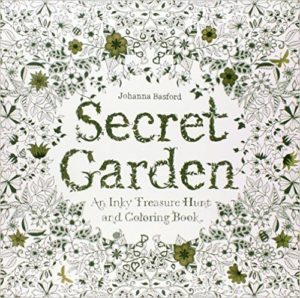 The quality of their books are usually the same across the board so take note when you come across adult coloring books you particularly like. Check how detailed the designs can get if this is an issue. If you have poor eyesight, you might want to get an adult coloring book that doesn’t have too many fine details. 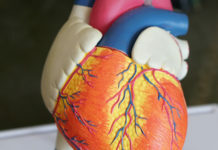 Or else, you can use a magnifying tool to help you color these small areas. And that’s it. 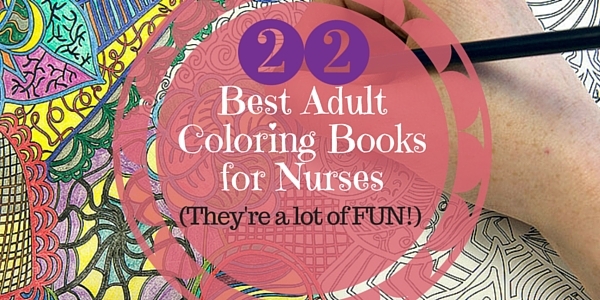 We hope that you enjoyed our best adult coloring book list. If you get any (or have used them before), don’t forget to weigh in on our FB page orInstagram page!